We have created a series of articles regarding the main issues of Body Worn Cameras (BWCs) which we will publish in the next few weeks. Follow our blog to be updated with some of the concerns regarding this new digital evidence. In the digital forensics world, video evidence is nothing new and complex algorithmic analytical software has existed for many years working hard to process video footage into something presentable as evidence in court. If we think about how this situation will manifest after the inclusion of video data from BWCs we can identify that there will be a few key issues that need to be accounted for before BWCs become the solution everybody intends for them to be. These are footage integrity (compression and any lossy processing), stabilization of the footage (and other video enhancements), storage of the footage (HD video at h264 will require vast secure storage), law enforcement workflow, data protection and any social costs. While some of these technical issues can be corrected with software such as our Amped FIVE all of the other aspects are either very difficult or impossible to currently correct. 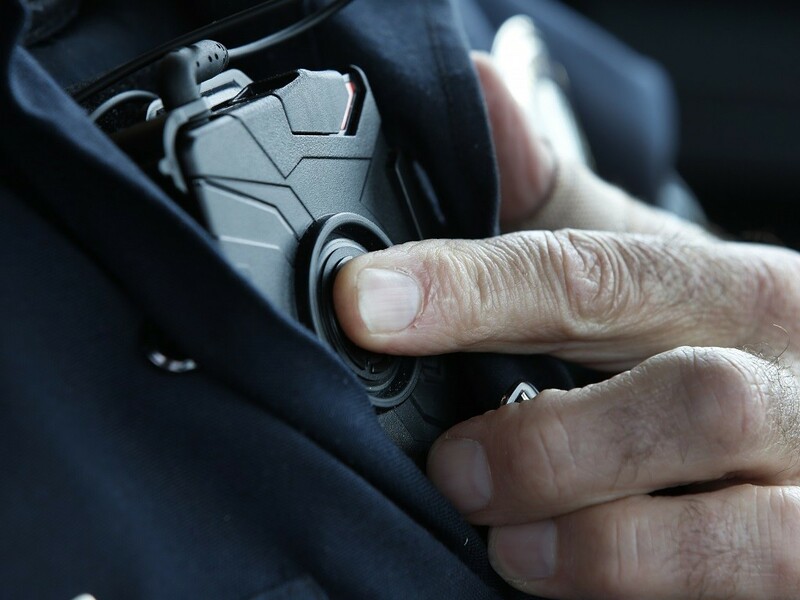 In each volume in this series, we will look at an aspect or two in order to become informed on body worn cameras and their deployment, use, and effect. Historically the main source of video evidence came from CCTV cameras, a static solution. The main issues with footage from CCTV cameras are resolution, compression (format is also an issue however easier to solve than the previous two) to which there is not really any software solution so the software focuses on things that can be solved in order to make the most of the data. These issues include motion and optical blurring, noise and stabilization as well as various environmental effects. With current BWCs recording in HD at 30FPS using current H.264 / AVC (Advanced Video Coding) we end up with much-improved source data than we were used to while working with CCTV. However we should keep in mind that BWCs use a wide angle lens as well as compression, albeit a better one, and that will manifest as distortion from the wide angle lens and artifacts from the compression, making analysis difficult if not corrected. Interestingly the secondary issues that we dealt with from CCTV footage have become the primary issues with the video from BWCs. We now have BWC video evidence but how will it be stored, how much will that storage cost compared to the cost of not having this evidence, what is the stance on data protection and how will society respond to being further surveilled and having that surveillance stored? There are also more complicated concerns that arise around the use of BWCs, from social issues such as privacy and data ownership/retrieval and ethical questions that the public are asking, to avoid tampering with evidence or the ability to circumvent the entire process to avoid the recording of evidence. Policy and BWC tech working in tandem with Cloud tech have made steps to address those concerns. In the next post, we will go into detail with regards to BWC footage. This entry was posted in Announcements, Cases, FIVE on June 18, 2015 by Matthew Cook.